to come true? Stop dreaming. 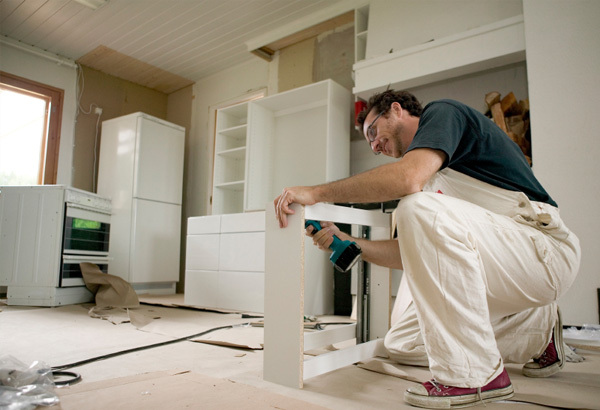 Just because you don’t have a lot of money doesn’t mean that you can’t remodel your kitchen. 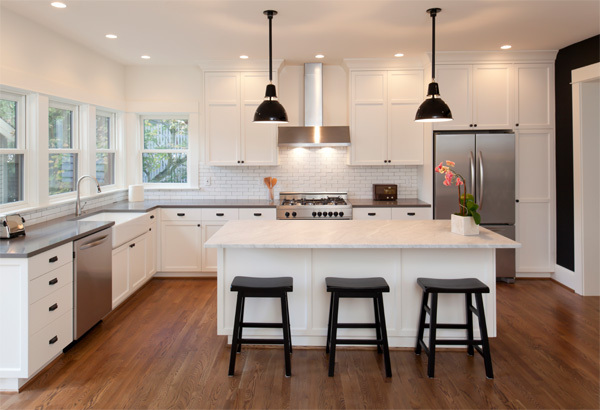 Before you begin any kind of project, look at kitchen remodelers to see how they can help you achieve the design that you want, especially if you’re working with a budget and want a lot of details in the room. Metallic laminate material is a way to give a bit of sparkle and elegance to the kitchen without spending a lot of money. The metallic appearance gives the room a shine that looks like you have used gold, silver or copper specks instead of simply applying laminate to the surface of the cabinets and counters. A metallic backsplash is also an idea if you want to add more color to the walls. Appliances and decorations of almost any color work well with metallic laminate designs. Don’t pay a company a lot of money to make custom cabinets and other designs that you can make on your own. All you have to do is research the designs that you want and the additions that you want to make to the kitchen. You can go to a hardware store and get the supplies that you need, such as the wood and paint, and make your own little designs that are a bit more personalized than what you might get with a contractor. Stop dreaming. Turn this dream kitchen into a reality. Photo from Huffington Post. When you see granite countertops, you might wonder how people add them to the kitchen since the material is so expensive. One way to get the granite look without spending a lot of money is to pour concrete onto the counter area. You can make any kind of form that you want with the counters before pouring the concrete. After the concrete hardens, you can add tile or other materials to the surface as there is a solid base. Another idea is to combine a few different materials together in the kitchen. As long as the materials blend well together, you can make any design in the room on the floor, counters, cabinets and drawers that brings out your personality while you’re cooking or preparing for a meal. Now, stop dreaming and get on with your dream project — kitchen remodeling. I know for a fact that homemakers will have a happy heart when they are in a nice kitchen.